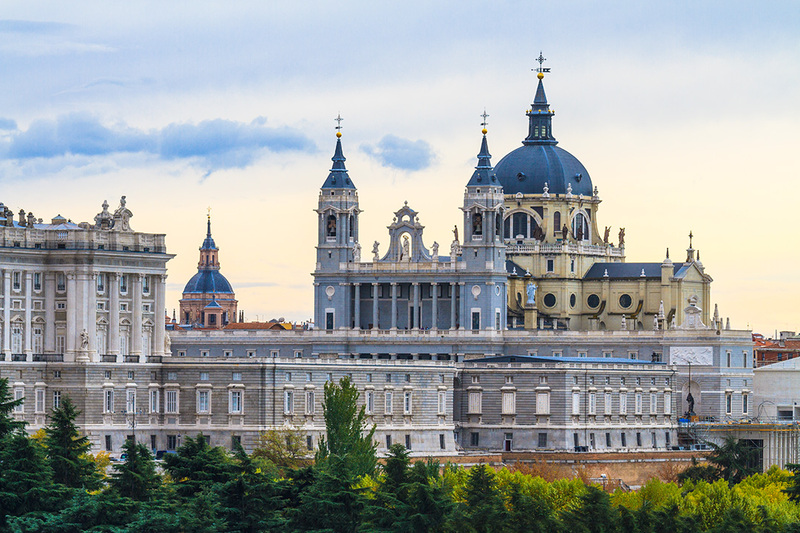 Madrid, Spain, with over 6 Million visitors to the city each year, this is a place definitely worth exploring. There are a countless number of things to see and do, to taste and experience in the capital of Spain. It takes time and effort to get to know and learn the ins and outs of this wonderful city. Although I have lived in the city for over a year, I know that I have only scratched the surface. To point you in the right direction, here is my list of 10 places to visit in Madrid During your program. The Plaza Mayor used to be where the Spanish court lived in when Madrid became the capital of Spain 1560s. Although this is interesting, I’m not here to bore you with history, if you want to know more on this just visit the plaza. Find some wonderful guides who offer free walking tours of the city at 11:00 or 14:00, look for the brightly colored umbrellas. The plaza is a beautiful landmark, right next to it you will find el Mercado de San Miguel with some wonderful fresh produce and tapas. One of the most important things to see in Madrid. Home to el oso y el madroño (The bear and the strawberry tree), the symbol of the city; which is a surprisingly small statue, Puerta del sol is the center of Spain. Literally, the center. This is the start of the radial network of Spanish roads, look for the plaque in front of the Real Casa de Correos, the building with the giant clock. This area is always filled with visitors and street performers that showcase their talents. With many places to eat and drink around including the best blues bar La coquette, this is a must see. Definitely the oldest thing on the list, construction on the temple started in the 2nd century B.C. It was then located in Egypt. After thousands of years and a flooding crisis in the 1960s, the Egyptian state donated the temple. It was a sign of gratitude for the help that Spain provided, now it is one of the top tourist attractions. The temple is located in el parque del oeste, it is the best place to watch the sunset when you visit Madrid. This spot is one of the most important places to visit in Madrid. It takes a short walk from the Templo de Debod to find the largest Palace in Europe. With immaculate gardens and statues of Spanish historical figures in the plaza de oriente, to the east and the Sabatini, this is the crown jewel of the city. Don’t miss the Catedral de la Almudena next to the palace, you can even go inside and explore the crypt. After a few months roaming through Madrid tourist attractions, it is a good idea to take a break. About 45km to the Northwest, just a short train or bus ride away is the town of El Escorial. A small town with a colossal monastery at the foot of Mt. Abantos, a perfect place to get some fresh air. The town is in the Sierra de Guadarrama mountain range. All around there are forests with great mountain trails leading to hidden places like the seat of King Felipe II. The largest train station in the capital is on my list for several reasons, the turtles, the architecture and most importantly travel. This wrought iron and glass structure was rebuilt after a fire destroyed the original building in 1892. From the inside, the building looks like a giant greenhouse thanks to the impressive indoor garden, where the turtles are. Even though the capital is amazing, Spain has much more to offer, so why not hop on a train and go on an adventure? Malasaña is a unique neighborhood and my personal favorite. Full of creative stores, markets, and restaurants you will satisfy your craving for unique food, musical and artistic tastes. At the heart of Malasaña is plaza 2 de Mayo. This plaza is an adventure, explore the small streets and enjoy the vibrant nightlife of the area. Literally meaning ¨Park of the pleasant retreat¨ this is a wonderful place to do just that. Spending an afternoon enjoying the sun and nature, is one of the best things to do in Madrid. In true Madrileñan style Retiro park is a space where nature and culture fuse into a place of true beauty. Why not hire a boat and row around the artificial lake alongside the statue of King Alfonso XII. Inside the park, there is much to see like the Crystal Palace, the Rosaleda garden and the fountain of the fallen angel. Currently an art center, the Matadero used to be a slaughterhouse in the Arganzuela district of Madrid. This space is home to restaurants, art exhibitions, music festivals and all sorts of artistic experimentation. The Matadero complex has a variety of outdoor and indoor spaces where you can breathe in the culture. If you’re running out of ideas of things to do in Madrid, just think of Paseo del Prado. From the iconic centro cultural building, towards the fountain of Neptune, all the way to the Botanic gardens. This gorgeous area of the city is home to Madrid’s art and culture boulevard. The Museo del Prado, Reina Sofia, Thyssen, and Naval are world class museums not to be missed. 6 responses on "Top Places to Visit in Madrid"
Parque del Buen Retiro is one of my favourite places in the WORLD. It is so gorgeous & peaceful. Nice list! I live in Malasaña near Templo de Debod and highly recommend both. Debod is especially great for dog owners. Every weekend there are tons of dogs for your pup to play with and other owners to practice your Spanish with. I love El Retiro!! I live right next to it so go there almost everyday to read, sew, or just to relax. It is also a great place to have picnics. I also really like Malasaña to go thrift shopping, there are so many amazing finds. I also recommend if you like thrift shopping to check out the Humana stores. Some days the have sales where the entire store is 1 euro! Can’t wait to visit some of these when I finally visit Madrid!